It is a big task to think of just five women who have changed my life. I have been fortunate enough to have wonderful female family members, mentors and colleagues over the years that have greatly impacted me. Here are a few of the big ones from pivotal moments. Simply put, my mom is amazing – I hit the parent jackpot. My mom raised me to love others, dream big and to believe that I could change the world. She is a retired school teacher and instilled in me the value of education and continual learning. Even with a large and rowdy family of six, we still volunteered as a family and she encouraged me and my brothers to give back in service at a young age. I get my love of people and talking from her. 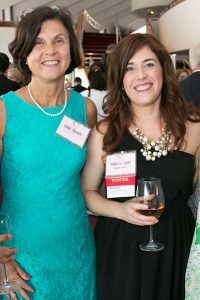 She has been a tireless ally throughout my professional career – supporting me during the challenges and celebrating my successes! Mary Julia Baldwin was an early student and leader of the school that became Mary Baldwin College. Her work and leadership helped form Mary Baldwin College into the amazing all women’s college I attended. My experience at Mary Baldwin was transformative to say the least. It took the values instilled at home and help me transform into a leader. I had so many opportunities to practice and grow my leadership skills – from sports to student government to the classroom. All of the professors and staff invested in and listened to us as young women. All of the women I went to school with will forever be connected by the powerful experience we all had. To this day I credit my ability to speak in front of a room of eight or 80 to my time at Mary Baldwin. My grandmother is 94 years old, lived through World War II and raised seven kids. Love is always her motto. Hard to believe that a 5-foot-2-inch woman had so much love to give. Growing up I saw all the love she gave my dad and his siblings. She always called me No. 1 grandchild because I was the first of 16 grandkids. 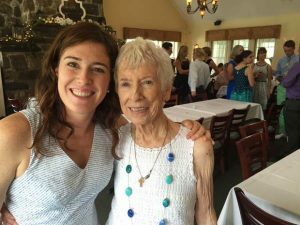 As the grandkids grew, she took the time to develop a relationship with each one of us. Imagine having seven kids and then taking the time to get to know each one of her 16 grandkids. I treasure the letters and notes she has written to me from the beginning. My grandmother is loving, strong and the perfect example of what a family matriarch should be. Fanny was my first boss in the real world. She took an eager 21 year old, who she had only known as an intern, and gave me my very first, full-time, real-world job. I had a hybrid role – half designer and half account support. One year later, when a full-time designer position opened up, I mailed in my resume to apply (that is how we did it back then). Fanny was tickled and hired me in my first full-time designer role. Not only was she my boss, but she was the business owner, sales person and operations person. I got to see, on the front lines, how she ran a business, and how she treated her employees and clients. Fanny always led with her heart and truly cared about those around her. Sadly, Fanny passed about 11 years ago, just before I started my own business. I think about her often as I now run my own creative agency, just like her. In early 2016, a colleague told me about the Being Boss – a fun, new podcast for creative entrepreneurs. At that point I had never even listened to a podcast. One listen to Emily and Kathleen and I was hooked. I had found women who “got” business the way I did – be kind, be professional, share information and support your colleagues. Over the years, I have participated in their coaching programs, attended their amazing Being Boss vacations, found some of my best boss friends through them and even got to help them launch their book last year. They have been a tremendous support as my business has gone through new growth. They both consistently check in with me because they care. Emily and Kathleen continually give and share with their community. They have excellent paid engagements, but they give so much away for free! They are on Instagram answering questions and offering free webinars. All of their work supports women in business. 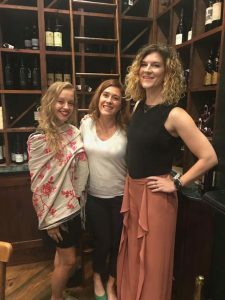 They are helping to support a huge movement of female entrepreneurs that is doing things differently. Would you like to know more about working with us?